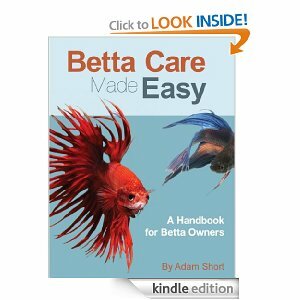 I am very excited to tell you that one of my favorite books to recommend when asked about how to care for Betta fish is available to download on Amazon Kindle for FREE! I am sure that this is a promotional tactic and will probably go back up to the $4.99 regular price soon so download it today! If you don’t have a Kindle, just download the Kindle Reader App for your smartphone, tablet or computer. Just click the photo or link below to go preview and download this book on Amazon!